Cinco de Mayo….spicy Mexican food and margaritas! Can it get much better? I have always loved anything spicy and chips and salsa are one of my favorite snacks. What’s not to love about this holiday? For our small group this week, I made a chicken enchilada casserole. If you prefer you could make enchiladas with this recipe, but I have a hard time rolling the tortilla shells without them breaking. 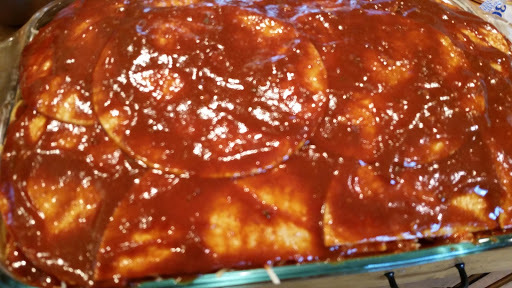 In a 9×13 inch casserole dish, spread 3/4 cup of the enchilada sauce to cover the bottom. 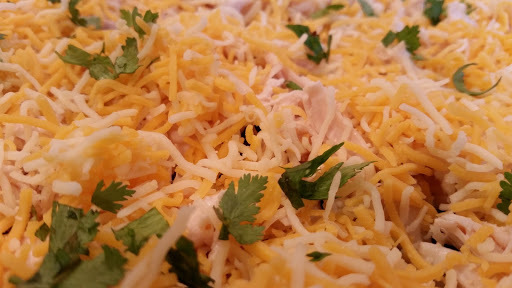 Place a layer of tortilla shells over the sauce, followed by one third of the black beans and corn (I mixed mine together), one third of the chicken, sprinkle with cilantro, and add a layer of cheese. Add another layer of tortilla shells and cover with one cup of the sauce. 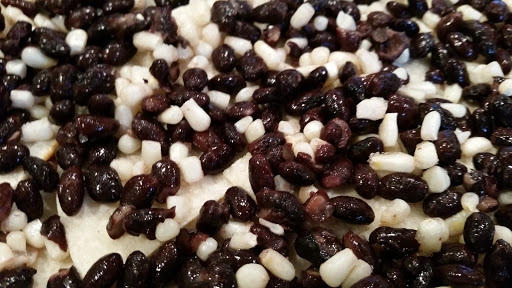 Follow this with the black beans, corn, chicken, and cheese. Repeat this process for another layer, place a final layer of tortilla shells on top and cover with another cup of sauce. Cover with aluminum foil and bake for 20-25 minutes until bubbly. Remove the foil, sprinkle with cheese and bake for another 10-15 minutes until the cheese is melted and slightly browned. Oh my! I can hardly wait to cut into this!